Someone asked me recently if I were stranded on a desolate island, what I would take with me, food-wise. Without hesitation I answered: hing. It’s a spice I refuse to live without. Our relationship is a love-story of a lifetime. It is almost too good to be true. Even with my husband we’ve had our ups and downs, but never with hing! It has been a smooth ride for over 20 years. It is a great compliment considering that hing does stink! I mean, really strongly. Although not a common spice in Finland, it has been known in folk medicine for centuries and gone by the name “pirunpaska”. A polished, less derogatory translation would be “devil’s dung”. Whatever that is, it gives a clear idea of the pungent, fetid odour. Fortunately, the smell fades away when hing is sautéed. It has a delicate, unique taste. Although it is lightly stimulating, it is not a fiery spice. The ferula asafoetida plant hing is derived from is a native of Persia and India. Alexander the Great brought it to Europe, but it never became popular on the continent. However, it is one of the most widely used spices in India. Because of the yoga-lifestyle, we omit onions, leeks and garlic from the diet. When consumed, they increase passion and ignorance on the subtle levels of awareness. They stir the mind and agitate the senses. Although hing has a similar taste with onions and contributes to the richness of palate, it lacks the unwanted effects. On the contrary, it is considered a balancing condiment. Among other qualities, it is known to decrease flatulence and constipation. Dry hing has a dark amber color. Because it is a resin, it is hard. It has to be ground with a hammer, rock or mortar. When added to a drop of hot ghee, it evaporates a wonderful aroma. To find pure hing outside of India is difficult. It is often powdered and mixed with wheat or rice flour, and sold in boxes. The processing makes it yellow in color. Best known brands, at least of those available in Finland, are Indian Vandevi and British Natcho. Because it is a powerful seasoning, it has to be used with care. Only a tiny quantity is added at a stretch. In excess, it has a bitter aftertaste and can ruin the dish. Raw hing is not preferred, but I’m often adding a pinch to a salad dressing anyway. It is just one of those things I cannot resist! Because I’m using it daily, I want to dedicate a post-entry to it. If you don’t find it in your spice-cabin, don’t worry. I suppose there is life without hing. I just don’t know about it. An update (2012): Recently I bought hing from a new brand and it smelled so bad that I couldn't use it. In all the recipes on this blog, I'm using Vandevi hing. Aha interesting. We have quite a few indian shops here (mostly owned by sikhs). I'll be looking out for it. It is worth it! It is an unusual spice, but all Indian shops carry it. Another name for it is Asafoetida. I love the aroma (I refuse to call it stink)of hing even in its raw form! I am an Indian and my native town is Allahabad (Uttar Pradesh)...our food is not complete without hing, specially for people who come from this part of India but there are other parts too who dont use hing atall. But i have been brought up with hing going in everything and I just love it and follow it in my cooking aswell!! Prachee, thank you for your kind words and following. I fully agree with you regarding food not being complete without hing. It is a fantastic spice. I wish to get my hands on fresh hing next time I go to India. It is way better than the one mixed with flour. Like you i too share a deep passion for this spice & love hing even in its raw form..No dish can be complete without it. Let me share my fav way to enjoy hing(aroma and taste)..mix a pinch or two in quickly beaten yoghurt, whisk in cool water and bring it to a broth like consistency. Add salt and hand shredded mint leaves. Whisk and enjoy. It will take away all kinds of bloating, flatulence and aid digestion as well as replenish your pores with water. I found Asafoetida in a few of my Indian recipes. Was only able to find it as a powder mixed with wheat flour and edible gum. A friend of mine said that it was used in Indian cooking to aid digestion, but that I didn't need to use it. Interesting to read here that it is enjoyed for it's flavour. You may be interested to know that my grandmother wore a tiny bag filled with Asafoetida around her neck as a child to ward off illness. I learned of the spice as an ingredient in Indian cooking several years ago and have used it ever since. I truly enjoy your elegant photos, writing and recipes. Kathryn - an interesting detail! Thank you for sharing. Oh dear, I also love this spice! I know it mainly as Asafoetida, but knew immediately what you were referring to as soon as I saw the word 'stink'. Hehe. Indeed, it does have a certain 'aromatic charm' this way. But I think it resembles a haunting, truffle-note when used in cooking. One of my favourite vegetarian authors, Madhur Jaffrey refers to it this way, and I totally agree. Thanks, Heidi. You may be right about hing. I recently purchased hing from an indian store and it really stinks! Even after bringing it home, the smell is all over the house :( Is there any way I can store it, maybe in a different container, which would reduce the smell? Pls help me out! Otherwise my husband is hell bent on throwing it out if the smell doesn't go away and I would really like to cook with it. The container should be airtight. Unfortunately, there are brands of hing that smell foul no matter how you store them. I recently experienced it, too. Pure hing doesn't smell offensive, although it has a strong odour. It is a very potent spice. It's best to buy hing that is mixed with rice or wheat flour. Vandevi is a reliable supplier. Most of the Indian stores carry it on. After posting on your blog, I kept on researching and found out about the airtight container solution. But I'm glad you have mentioned it and yes, it worked out fine! Also, I read somewhere to put the airtight container in a ziploc bag (sandwich baggies) and I think that has helped more so in keeping the smell contained. By the way, I'm not sure if I bought Vandevi or if it was something else, because I didn't bother looking at the bottle and threw it out once I transferred the contents into the glass bottle. But it was a small white coloured plastic bottle...I'm not sure if that helps in identifying it as a Vandevi product. Anyways thanks for your help! I'm glad to hear you found a solution! It looks like you might have bought pure hing, in resin form. Is it dark, sticky substance or lighter color powder? Vandevi usually comes in a yellow plastic spice jar with a bright blue label, and is yellow powder. 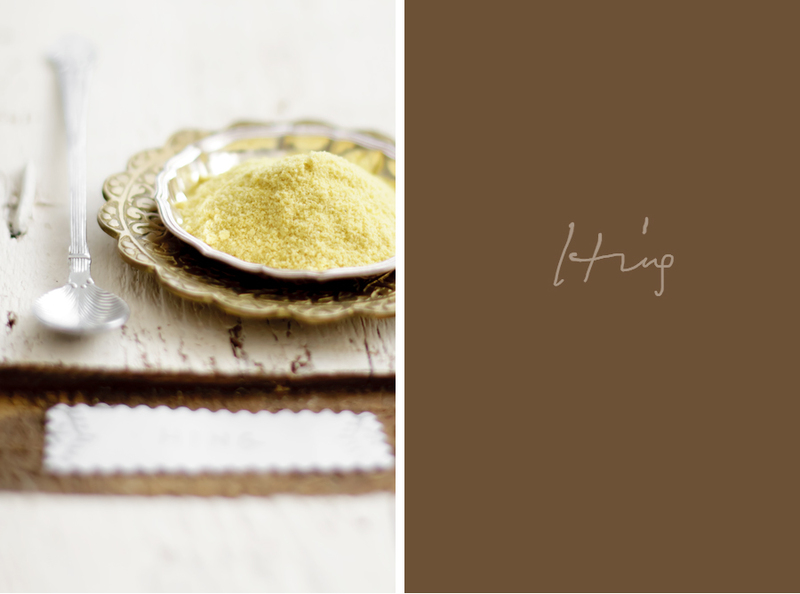 Whatever brand, hing is always used sparingly.It goes especially well with gas forming ingredients like lentils and beans. Frying it briefly in hot ghee or oil will tame the edge. Thanks for the link, Daniéle! I love this spice! To me is has sort of a roasted garlic flavor to it. I love to look at ancient Roman cooking, Apicius and other little references. The Romans loved using a spice called laser root (slipium), in which put in everything, even to flavor sweets! It was a fennel-type plany(we think) like hing. This plant was harvested in N. Africa and shipped to many parts of the Empire. Due to climate shift or over harvesting it became extinct. Romans came to use imported hing after this. People seemed to stop using it in Europe during the Middle Ages, perhaps because trade decreased. In my readings I noticed that The ancient Romans seems to almost never use garlic, my guess is becuse hing sorta filled the space in the pallate. I've developed a pet theory. Perhaps the Post Roman Italians still liked the taste of hing but were unable to get it, so they switched to garlic! A very rustic cousin to the noble, odoriferous hing! .I've used some old roman recipes as a guide for cooking asparagus: Olive oil, heat it then add a generous pinch of hing. Roll the asparagus around in it and cook for a couple of minutes. Add some "garum" (roman fish sauce cooked down in wine, I use one TBS thai fish sauce to 2 tbs vermouth) and cover for about 2mins. remove lid, sauce reduces. Three sources of umamai, hing, fish sauce and asparagus! Oops, I just realized this was a vegetarian blog, sorry. I'm just really excited about hing and was inspired by your enthusiasm! You might find some fun roman ideas about what to do with hing. The Romans loved omelets, flans and fritattas with hing! I once went to an Indian spices shop, I discovered all kind of wonders that where hidden from me for so long, including the hing !! I now wonder how come no one told me before that such spice existed. And I must agree with you, of all the love in our live the hing is definitely the stinkier !! It took me weeks to identify it as THE unfriendly smell in my cupboard. I just dicovered your blog and I love it !! I know I'll soon become a Lakshmi addict !